Dr. Lucy Miller is a pioneer in Sensory Processing Disorder (SPD) Research. It was Dr. Miller to whom Jennifer Brout turned when her own daughter displayed symptoms of misophonia in 1999, before it even had a name! 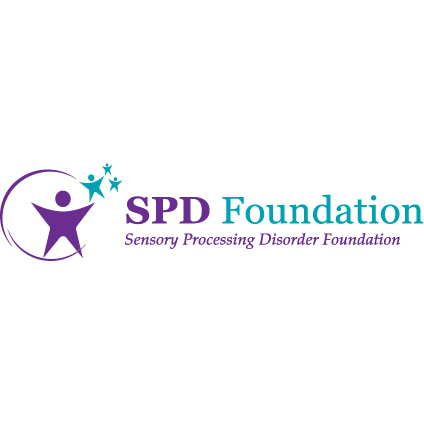 SPD is a complex disorder with numerous subtypes. While there is some confusion about the overlap between SPD and misophonia, the symptoms of the SPD subtype, “auditory over-responsivity” and misophonia are too close to ignore. Therefore, it is a good idea for us to look at the work in SPD Auditory Over-Responsivity that precedes the term misophonia. Thanks to the paths paved by Dr. Miller over the past two decades, the medical community now understands that atypical processing of sensory information is a neurological disorder. Because of the SPD Foundation’s efforts, the very idea that auditory (or other) stimuli can directly affect a child’s behavior is not a new idea. Compared to where we were in 1993, when children with these problems were mostly thought of as “crazy” or “manipulative” (or simply ignored), we have come a long way. It is with great honor that Jennifer Brout continues to support Dr. Miller and her inventive, courageous work. An impressive body of research supports that particular groups of young children misperceive auditory, visual, tactile, and other stimuli as highly aversive and dangerous. Notably, the research in Sensory Over Responsivity (SOR) has been related mainly to children, although currently it is beginning to address adults as well. While SOR research concerns a variety of sensory stimuli, it is important to note that within these groups were children known as mainly “auditory over-responsive.” As far back as 1999 studies of children considered SOR demonstrated autonomic arousal and decreased habituation. Using Electro Dermal Reactivity (EDR), children were presented with every day sensory stimuli and their responses were measured by galvanic skin responses. Many children with SOR exhibited increased amplitude, frequency, and reduced habituation to sensory stimulation (e.g. McIntosh, Miller, Shyu, & Hagerman, 1999; James, Miller, Schaff, Neilsen, & Schoen, 2011). In other words, children who were over-responsive (to the extent of “fight/flight”) to both auditory and other sensory stimuli demonstrated autonomic arousal, as well as decreased habituation. With decreased habituation, the part of the nervous system that puts the “brakes” on fight/flight does not work efficiently. Occupational Therapy Sensory Integration Methods are utilized to “bring in the parasympathetic nervous system and help put the brakes on ‘fight/flight'”. Occupational Therapists with the right training know how to help an over-responsive individual utilize exercises that will activate the parasympathetic nervous system, thus putting the brakes on fight/flight. This has always been one of the most important coping tools for “auditory over-responsive” children and adults and can be employed successfully for those with misophonia as well. For the purpose of misophonia, Dr. Brout and Dr. Miller are working on a short-term program that can be individualized and taught to adults in order to help them “down-regulate” (or bring in the parasympathetic nervous system). This is something that Dr. Brout has utilized for herself and for her daughter since learning about OT SI Therapy in 1999. However, not everyone can see an occupational therapist or strategize how to work these exercises into every day life. Currently, Dr. Miller and Dr. Brout are working on a delivery method that is inexpensive and widely available.